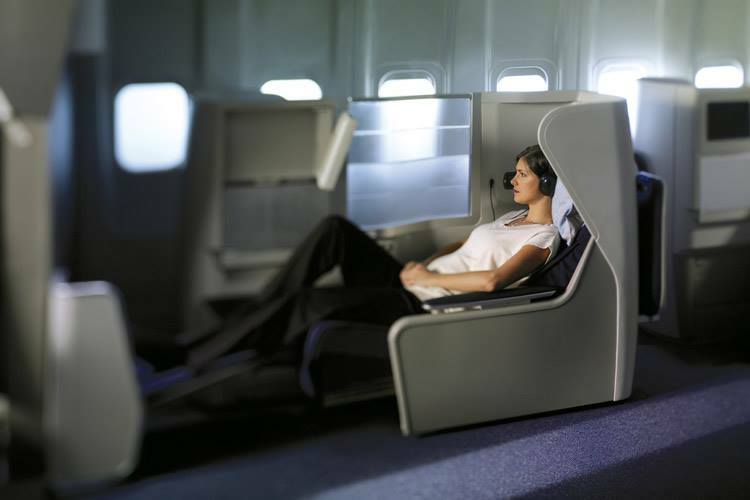 British Airways Chase Companion Voucher is Great! We just booked two business class/Club World roundtrip tickets on British Airways for San Francisco to London to Istanbul. Amazing $11,949.50 value that we were able to score for only 130,000 Avios and $1790.20. How? 2) Spend $2,000 within first 3 months and get 50,000 Avios Points. If you open two cards (for you and your significant other you can get 100,000 Avios). You will now have 142,500 miles total (100,000 from the 2 credit card accounts, 5000 for spending the $4K to hit the bonus and and 37,500 from the $30K spend to get the companion voucher). Its a lot of spending, but if you value travelling in business class on long haul flights its worth it – especially if you can manufacture the spend. Now you can redeem your miles and companion voucher for tickets. The voucher means you basically get a 2-for-1 deal on tickets, but still need to pay taxes and fees. 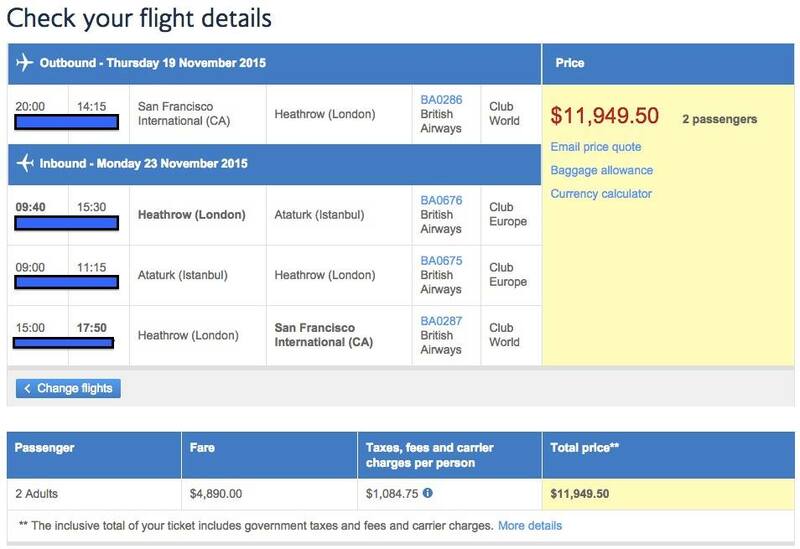 On BA the taxes and fees for flying through London (which almost all BA operated flights do) runs around $700-800 roundtrip so its best to use it on expensive business or first class tickets. ← Guess where we are off to next? San Francisco to Beijing, China for $545.96 Round Trip! San Francisco to Copenhagen, Denmark for $626!